Nuchette is a lifelong resident of Windsor, a graduate of the public schools, and a wife and mother of two young boys. Elected to the Windsor Board of Education in 2015, Nuchette chairs the curriculum and technology committees, and she sits on the Capital Region Education Council (CREC). Nuchette is employed by the Hartford Partnership for Student Success as the Hartford Community Schools Coordinator. Nuchette is also a credentialed minister at Rehoboth Church of God in Bloomfield, CT, and she serves as the Youth and Discipleship Director and the coordinator for the Angel Tree Project that serves children of incarcerated families. 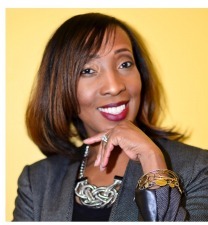 She is a member of the Project Resiliency advisory board in Hartford, CT, and a member of the Hartford Alumnae Chapter of Delta Sigma Theta Sorority, Inc. and of the National Association for Family, School, and Community Engagement (NAFSCE). Nuchette graduated from Western Connecticut State University and received her masters of education from the University of Hartford.